Claim your strength and show you have what it takes! 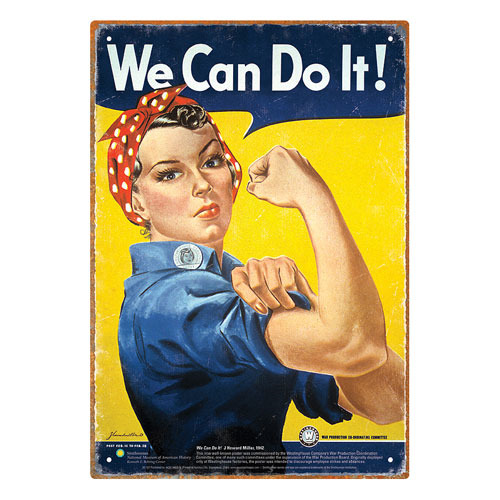 Showing the iconic art straight from the Smithsonian vault, this Rosie The Riveter Tin Sign measures approximately 8-inches x 11 1/2-inches. Ages 13 and up.